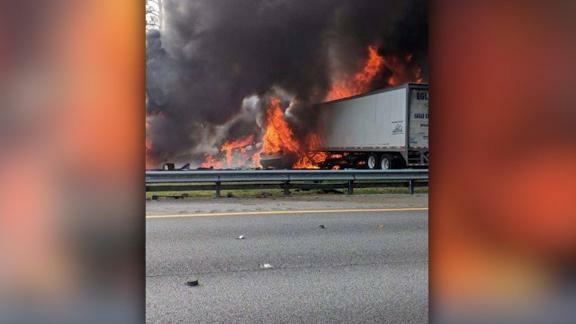 The accident happened Thursday afternoon at mile marker 393 on I-75 southbound. Some of the patients transported from the scene have critical injuries, according to the fire and medical service. The vehicle fire was put out by crews arriving on scene.